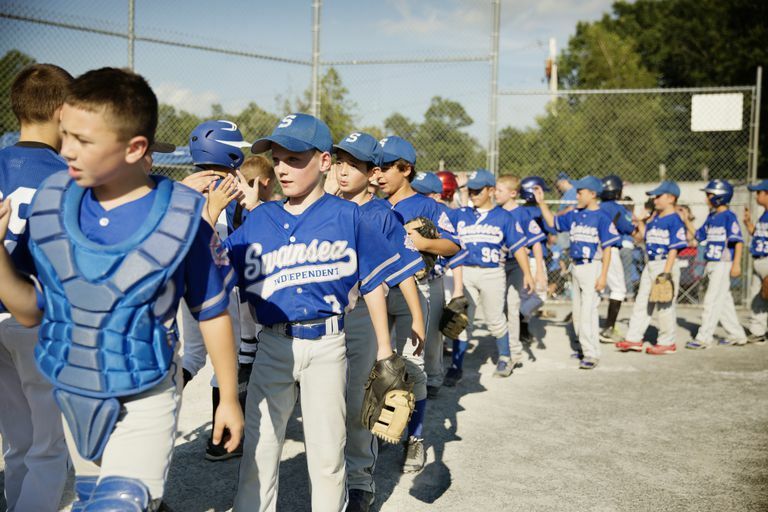 As soon as children start to play youth sports, they begin to learn the basics of sportsmanship for kids. In fact, this is the best reason for young children to participate in team sports. For athletes just starting out, swapping high fives with the opposing team after a game may seem like a minor detail, not a meaningful gesture. But moments like these lay the groundwork for true team play. They are there to make sure the game is fair and fun, and to help keep the players (and officials) safe. So breaking them can be dangerous, in addition to dishonest. Plus, victories earned by cheating don't feel nearly as good as honorable wins do. Being part of a team means having a positive attitude and never thinking that team rules and policies don't apply to you. It also means sharing the spotlight, so don't hog the ball or the glory. A good coach should frequently point out opportunities for players to work together for the good of the team. If a teammate gets hurt, makes a mistake, or feels sad, offer some encouraging words. Never blame or taunt a team member for losing a game, giving up a score, or committing an error. You win as a team and you lose as a team. If you're the one who drops the ball, accept responsibility instead of trying to make excuses or shift the blame to others. A good player learns from mistakes (and a good coach makes the most of errors, turning them into teachable moments). Saying mean things about and to your opponents (even if they can't hear you) is disrespectful to them, to the game you all love, and even to your own teammates. It makes them look bad too. So keep comments polite or keep them to yourself. Your coach deserves your thanks for all the time he or she devotes to your team. So do other volunteers, including coaching assistants, sidelines helpers, referees and other officials. When parents, brothers and sisters, other relatives and friends come to watch you play, they need to be good spectators. Nicely remind them to keep comments (about players from both teams, coaches, and officials) positive and polite. Shake hands or trade high-fives and tell the opposing team "good game." This shows the other players that you respect and appreciate them. After all, it takes two teams to play—games wouldn't be much fun without opponents. Don't brag and gloat when the losing team is around, or make fun of them for losing. It's okay to enjoy a win. You earned it! Just don't put the other team down while you're celebrating. Not every game will go your way. Take responsibility for your losses instead of blaming them on the other team, the weather, or the officials. Another way to encourage sportsmanship for kids is to read books about the topic. Books written especially for younger school-age kids and tweens and teens can prompt great conversations about winning, losing, and fair play. Good sportsmanship doesn't come automatically or easily to every child. Your teaching and role modeling are critical in helping your child learn this important life skill.